This week’s motoring missives involve investment strategy, pulling power, comforting thoughts, tin snails, earning to drive and many more pushed out by the pressures on print. My son has a 3-year old low mileage Peugeot 5008. The seals failed in the clutch slave cylinder, which is mounted inside the clutch housing and resulted in having to change a contaminated clutch and worn DMF at huge expense. It seems that these slave cylinders incorporated in the clutch thrust bearings are now commonplace with manufacturers such as VW, Peugeot/Citroen, LandRover, KIA and Hyundai at least. In one month, two friends have experienced instantaneous clutch failure for the same reason, resulting in being stranded. Do you know of any manufacturers of large family cars that have not followed this stupid design path? Is this the latest folly to avoid, like Cam Belts, DPFs and DMFs? Should manufacturers pay something towards the cost of repair to a 3-year old car where the slave cylinder seals have failed and the design is obviously faulty? I was on the case, and on TV too. 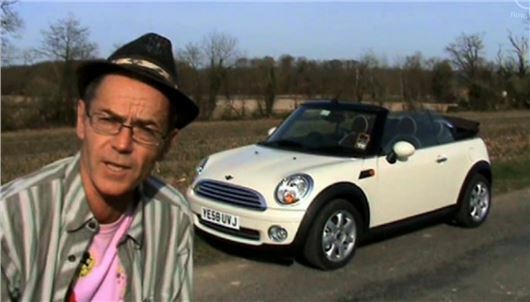 The issue has particularly affected the Fiesta and Focus and, on the basis of reader reports, I build up a dossier that eventually featured in 'Don't Get Done, get Dom' on BBC1. Ford had been coughing up for resultant clutch failures, but where the cost involved an expensive DMF, they had been trying to charge the customers, in one case as much as £1,600. In two cases, when parts were returned, the damaged DMFs and burned out clutches were included, but not the clutch slave cylinders, despite the customer having been invoiced for replacement of them. I made the point on the TV shows, but Dom did not emphasise it. A failed clutch slave cylinder has the same effect on a clutch as a bad driver continually slipping the clutch so it’s easy for a dealer to blame the driver rather than the slave cylinder. Sorry, we have no stats of which manufacturers don’t fit slave cylinders inside the bell housing. Lotus Elan; Lancia Fulvia Coupe; Porsche 911 - 3.2 or 964. Which would you recommend? This is a contradiction because, in order to tow, a petrol estate will need either a big or a turbocharged engine so will not be economical. But best of both worlds is probably a Mondeo 1.6 EcoBoost 160PS that can do 40mpg driving solo but will also have the torque to pull the caravan. Important, however, always to idle the engine for 2 minutes after towing in order to cool the turbo while it spools down. I own a 2011/61 Ford Focus 1.6 Zetec 5-door Hatchback. This car gives a very bumpy ride. The tyres are Michelin Primacy 3 215/55 R16H. Is there any way I can get a smoother ride please? Change tyres? Change Wheels? Or other way? Lower the pressures to 30PSI all round when the tyres are cold (first thing in the morning). As you drive, they will heat up and the pressures will then increase by 2-3PSI. But if the pressures are 33PSI cold, they will increase to as much as 36PSI once you have driven the car some distance and that's what makes the ride harder. Following an accident, our 59k mile 2007 Fiesta 1.4 Zetec Climate 5-door has been written off as uneconomical to repair. I am looking to replace it with a similar 5-door car, but one having close to zero road tax and a high mpg (we average 8,000 miles per year mixed town/long distance driving). My budget is £8,000 to £10,000, but I would go to £12,000 for a new car with good discount. What would you suggest? What was my old Fiesta worth? You'll get £2,500 - £3,500 for the Fiesta. With £12k I'd try to get one of the last UK built Honda Jazz 1.4iVTEC manuals or automatics at a run-out discount. Alternatively you could get a new Fiesta 1.0 EcoBoost 100 via http://www.drivethedeal.com As a cash buyer with no part-exchange a broker deal is the best way to buy. I ask your advice about my 100k mile Citroen 2CV. It would not start after a month’s rest on the road outside my house in London. I called the RAC, which very efficiently found the culprit to be the carburettor, cleaned it and the car started. He told me that I should get a carburettor clean-up and perhaps a new petrol pump filter too. That is less than £30, but the starting problem is mainly the carburettor. I don't know of any specialised garages for cleaning the carburettor as they have in France. Should I buy a new carburettor at about £150 on the Internet and ask my local garage to replace the old one? The carburettor may be worn out and unrepairable, so better to get a new replacement. This happened to me with a 2CV in 1980. I am looking for a car to teach driving with, but also for my family, with enough space for three adults at the back. Look at what other driving schools have chosen. Avoid diesel because driving lessons could choke the DPF. And look for a car with decent rear vision for reverse parking because most cars these days have appalling rear 3/4 viz. Good ones include the Citroen DS3 and the Honda Jazz Mk II. The KIA Venga and Hyundai ix20 aren't bad either. Presumably, you have qualified with the DSA as a driving instructor? It is now heavily regulated so isn’t something you can just decide to do. I have just taken a test drive in the new Ssangyong Tivoli. Very impressed, great spec, funky looking styling and cheap as chips. Should I buy one? It will be a fun car, for pottering around town and a few long distance trips. It's certainly cheap, well specced and good value for money, but I'd also take a drive in a new model Suzuki Vitara before committing myself. I think the Vitara steers and handles better, but you get slightly less trim for slightly more money. I have a Renault Clio, purchased September 2009, which has done 20,000 miles. My Renault garage has sent me a Timing Belt Reminder, which costs £299. In our 55 years of driving, neither my husband nor I have been asked to check the Timing Belt. Do you think I should have this done? Without a doubt because if it snaps your engine will self-destruct. £299 + VAT is reasonable for belt, waterpump and tensioner. I have been driving a Toyota Yaris from new for the last 14 years and I am looking to change it this year. I have been more than satisfied and had no trouble with it over the years but have decided that it is time for a change. I would like a small SUV that is reliable and stylish with a bit of punch and a higher driving position than the new Yaris, which I am not very keen on. I have looked at the Nissan Juke, but the back seat windows are very small making it a bit claustrophobic for the passengers, so can you suggest another car in the small SUV range that would suit my needs? As in my Yaris, I would like automatic transmission, a sunroof and possible reversing camera and built-in SatNav. Would 4-wheel drive be an advantage? The reliability and comfort of the Yaris is exceptional and if necessary would forgo some of the extras to gain these factors in another car as I am a lady of 71 who very much enjoys driving. It may be possible that my husband and I will take this car on our yearly 5,000-mile journey around Europe. My car is a Skoda Octavia 2.0 diesel, pre-DPF. Registered December 2009, current mileage 30,100. A warning light resulted in diagnosis of a "defective intake manifold flap motor" and the repair cost £472. As an ex-fire officer I over-maintain my car (my previous one is still on the road having covered nearly 150,000 miles) with oil changes at half recommended mileage, etc. and the full annual service being carried out after only about 6,000 miles. It is driven properly and rarely does a journey under 30 miles as I use other modes of transport for short journeys. I use BP Ultimate diesel, 95% of which I can prove came from the same pump on the same station forecourt. I took out a very expensive extended warranty with Warranty Direct on expiry of the manufacturer's 5-year warranty last December. Could I have the benefit of your advice, please? 1) Admittedly the car is old, but should such a component fail at such a low mileage? 2) How does one find out the details of what is or is not covered by the warranty (the explanatory booklet only seems to give general descriptions)? Needless to say, I have been told that the policy does not cover the defective component. I've heard of swirl flap failure on various engines: Ford Mondeo III petrol, BMW diesel, Alfa/FIAT/Opel/Vauxhall 1.9 diesel, but never in my recollection on a VAG engine. I think this should be covered under the warranty. These are motors, like radiator fan motors, like the engine of the car so the 'wear and tear' clause appertaining to disposable parts should not apply. WD’s website gives fairly comprehensive details of what is covered by its different policies. I have decided to dispose of my much-loved 25-year old Suzuki and have opted to buy a RAV-4. The Suzuki has done a genuine 52k miles, has loads of extras, including soft and hard tops, tow bar, s/s roof rack, s/s exhaust, long MoT and service history. I have tried to make email contact with the Suzuki Car Owners' Club but I cannot find their email address. Any ideas as to who to contact please? I am prepared to give it to a good home. It does not owe me a penny. Well done. I thoroughly approve of that. A long time ago, rather than ask £200, I advertised a Jetta GT as "free to a man of the cloth". It went to a vicar in Taunton and lasted him another couple of years. This is the club: http://www.suzuki4x4club.com/ The Suzuki Owners club here: http://www.suzuki-club.co.uk/ is for motorcycles. Sorry to bother you on a Sunday, but the right rear light indicator of my Audi A3 Allroad 3.0TDI quattro stopped working yesterday. Sadly, after trying various new bulbs, it still will not work. I tried the new bulb/s in the left rear light and they worked. Do you have any idea what might be wrong? We would like to take the trailer out on Tuesday. I own a 2002 diesel Doblo that has been a nearly perfect vehicle for my family of four, both for short trips through and around London and for the twice yearly long haul down to the Mediterranean coast. However it is now costing me a lot of money and needs to be replaced. What do you recommend please? Either new or used, petrol or diesel? There is more choice now. As well as the current Doblo, which is available in many different sizes, you can buy two lengths of Ford Tourneo Connect, the Mercedes Benz Citan, a new VW Caddy Maxi Life, as well as 5 and 7 seater Berlingo Multispaces and Peugeot Partner Teepees. Short trips are likely to cause problems with Diesel Particulate Filters that will not be cured by the two long trips per year. VWs now have manifold in head diesel engines that are kinder to DPFs and not all of which need AdBlue for EU6, so I'd check out the Caddy. We hired a 9-seater van yesterday. It has 90 litre capacity for diesel. It had dropped to 85 litres before returning the car, so we decided to return it full and put in 5 litres. But this 5 litres was petrol by mistake. Now I don’t know what to do. Can you suggest something? You and the rental company will probably get away with it, unless the rental company opens the fuel flap and takes a sniff. (The honest advice is to tell them.) I've put 10 litres in a 60 litre tank and not done any damage. Wise to squirt in a bottle of Wynn’s diesel additive that contains a lubricity enhancer. I'm looking at buying a 1989 W124 Mercedes 230E as a long-term investment/bit of fun and for my dad to use in retirement. I've found a lovely example. No rust of the front arches. Duplex timing chain engine. Lots of service history, including original bill of sale. Everything works: electrics, oil pressure, drives well, etc. Only one issue: From my due diligence, looking online with DVLA and when looking at the car, the odometer stopped working 5-6 years ago. The car has hardly been used for the past 2 years, confirmed by a friend whose neighbour owns the car. My concern is that I don't know the exact mileage but with the car at a £950 purchase price, would it cost much to have the odo repaired/replaced and based upon the finishing point of the odo (84,648). Would I start the clock from that point and build the mileage again? Or just not worry about it and buy the car? It's quite common for Mercedes odometers to stop working. Same happened in my dad's 190E 2.6. And MoTs will have recorded the same mileage for 5-6 years, so there’s no point in starting again. But £950 is pocket money and cheap enough to take a punt. The expert is Nicholas Froome at http://www.w124.co.uk Absolutely essential to fork out £100 on a Disklok from Halfords or one day you will come out and find your W124 missing, broken up and gone to Africa as parts. I have a 1999 Ford Fiesta Ghia with 56k on the clock. I’m thinking of changing my car for a Skoda or a Hyundai. I am 81 years old. Can you advise which one most suitable? The Hyundai has a 5-year warranty. The Skoda has a 3-year warranty. Hyundai’s smallest car is the i10, which is highly regarded. Next up, the i20. Skoda’s smallest is the Citigo, and next up the Fabia in which the best engine is the 1.2TSI 90. My Ford Focus 2012 Zetec 125 has a 1 hour mode. When parked and the 1 hour mode is selected, the Radio or CD only runs for about 5 minutes before cutting out. If the engine is switched on and off, the radio will then work for another 5 minutes, and so on. My Ford garage has had three attempts to solve this problem, including a software update. They now tell me that as the vehicle is only used for short journeys, the computer has sensed this and cuts off the radio to save drain on the battery. They have tested the battery, which is fine. There is no more that they can do. As the vehicle is nearing the end of its three-year warranty, is this a genuine reason and if so can the computer be re-programmed to increase the time for which the radio operates in this mode? That's how it is. Minimum battery recharging by the alternator to save fuel. Unless you drive a considerable distance first, you can't sit in a new model car with the engine off and the radio on any more. I have just purchased a 3-year old Mitsubishi Colt and am impressed with the car. The only downside is that in fine weather the fascia is reflected up on to the windscreen and is extremely distracting. I have been advised that by fitting some Velcro strips on top of the fascia and covering the whole with a dark non-reflective felt should resolve the problem. Can you advise me in the case of an accident, would this inhibit the function of the air bags? The drivers airbag is in the steering wheel, but it would affect the passenger's and, of course, the ventilation. Better to mask everything off and apply a matt black spray. Or simply teach your brain to ignore the reflection. I have a 2004 convertible auto Chrysler Crossfire, which achieves a regular 30mpg on long motorway runs, coupled with amazing reliability, performance and comfort. Yet my 2014 Peugeot 5008 diesel auto 2.0 litre barely achieves 42mpg on similar runs. Funny old world. Your Crossfire takes 2 people. Your 5008 takes 7. So that’s 60 people miles per gallon for the Crossfire and 294 people miles per gallon for the 5008. The factory-fitted 225/45 R19 Continental tyres on my Nissan Qashqai 1.5DCi Tekna need replacing at 13,500 miles. My local Nissan dealer wants to replace them with same tyres, which I am reluctant to do. Goodyear does not make the size. Can you suggest an alternative without infringing the warranty as the vehicle is only 15 months old? Get rid of the 19" wheels and switch to 17s with 215/60 R17 tyres. Tell your insurer. We have a Toyota Avensis diesel (2010 registration, 32,000 miles). Two weeks ago we had a runaway engine incident: revs in the red, engine screaming and continuing to build up rapidly, car accelerating forward as the gears were changed down. The car was eventually stopped by turning off the ignition (but obviously with loss of power steering and braking). Fortunately nobody was injured. When the ignition was started again, the car behaved normally. The Toyota garage has had the car for two weeks and, in consultation with Toyota UK, has run a series of diagnostics, all of which show nothing (including, their first thought that the mats were catching the pedals - the latter are Toyota fitted carpets). The garage, advised by Toyota, is therefore proposing to 'release' the car back to us. I am refusing to drive the car because I believe it to be dangerous. The garage has come up with no explanation of the incident but is, nevertheless, delivering the car back to me tomorrow. What I should do next - is there anything I can do? Toyota would have routinely changed the throttle switch, which was the subject of a recall in 2011, so I don’t think it was that. But this model of Avensis diesel has had Diesel Particulate Filters since the launch in 2009. So the running on might have been due to a high sump oil level because the DPF had not been actively regenerating properly and the excess fuel introduced to the engine to regenerate it had sunk into the sump. Once that reaches a certain level, a compression ignition engine will run on it uncontrollably until the sump level drops. Yours must have only just reached that level or it could not have been stopped. You must get the sump drained and the oil replaced. Alternatively, the turbo bearing oil seal could have failed, again leading to the engine running on its sump oil. Experience would lead a good mechanic to check for these. Plugging it into a computer wouldn’t. Though many readers have had trouble with VW DSGs, I've owned two Golfs with DSG and neither have given me any problem. There was a recall on my Mk 6 to change the oil in it, which was free and included a gearbox filter change too. So I speak as I find and have been considering a Mk 7 Golf, which I thought would be a straightforward upgrade. However, I've read that VW changed the rear suspension on the Mk 7 for "models up to 120PS". Does than mean it could well be a retrograde step, ride-wise? Also, for the same money as a new Golf, I've seen a 6 month-old BMW 2 Series Active Tourer with a 6 speed automatic box. I'm tempted by that. What do you think? Golf VII GT models and above have fully independent rear suspension. Below GT spec, they have standard twist beam rear suspension that isn't bad, but isn't as good and doesn't give as good rice quality. Despite your excellent experience of previous Golfs, I’d be very tempted by the 2 Series Active Tourer. I've put unleaded in a diesel car and driven the car. The garage said if we fill it up with diesel and try to burn it out, the fuel injectors will go, is this true? I read your article in the Telegraph but I don't know if the instructions are applicable if the car has been driven already. Hope you can help. Since you’ve already driven the car and it hasn’t died, there's a chance that if you add some lubricity additive (Wynn's) and keep topping up with Shell V-Power Nitro + diesel (which is high lubricity) you will get away with it. I did with 9 litres in a 60 litre tank. But it is essential you never run the fuel low because the petrol will sit on top of the diesel and will not disperse for around 2,000 miles, so when the level is low petrol could get through to the injection pump. If you're worried, get the tank drained. My wife and I are in our mid 80s and have a 2008 Note, which has done 46,000 miles. We have both recently had spinal surgery. Is there any way we can improve the comfort of the Note, or should we consider another car? If so what would you advise? Your Note will ride better on 15" wheels with 185/65 R15 tyres than it will on 16" wheels with 185/55 R16 tyres because with the 15s there is more tyre between the wheel rims and the road. You could also experiment with dropping the tyre pressures 2 - 3 psi, but not to any lower than 30 psi all round. Honda Jazz don’t ride any better. New Mazda 2s on 15” wheels with 185/65 R15 tyres do.